Sabyasachi antidote Bose, who’s playing for OpTic India from their Bangalore bootcamp is currently getting ready for ZOWIE eXTREMESLAND 2018. 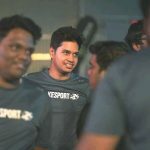 We’ve had a chance to speak with the primary awper of the organization on pros and cons of being a professional esports athlete in India. The gaming scene in India is taking a sharp turn. The teams, individuals, and the gaming events have now started to follow a stature of an international standard. The clarion call from the community who deserve a better scene did push the fraternity towards a supervised industry. Perhaps, there is a room for improvements. 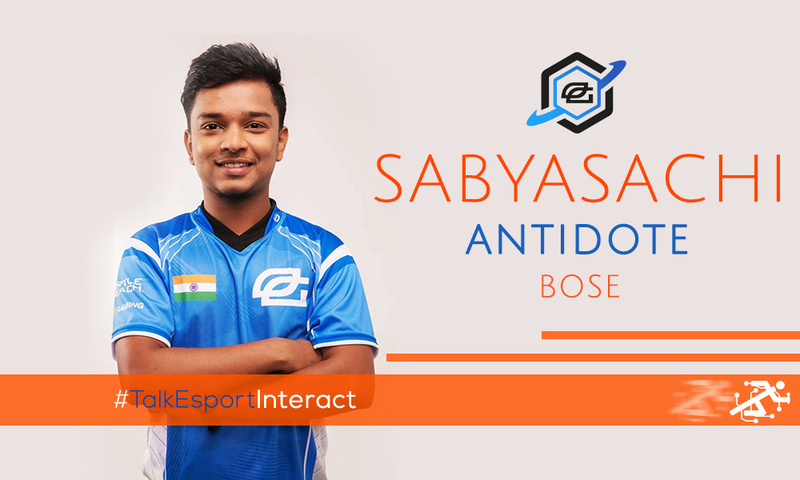 We sat with Sabyasachi antidote Bose, the 22-year-old CSGO player leading the sniper role in OpTic India. We discussed a little about his playstyle, favorite games, and his practice routines. 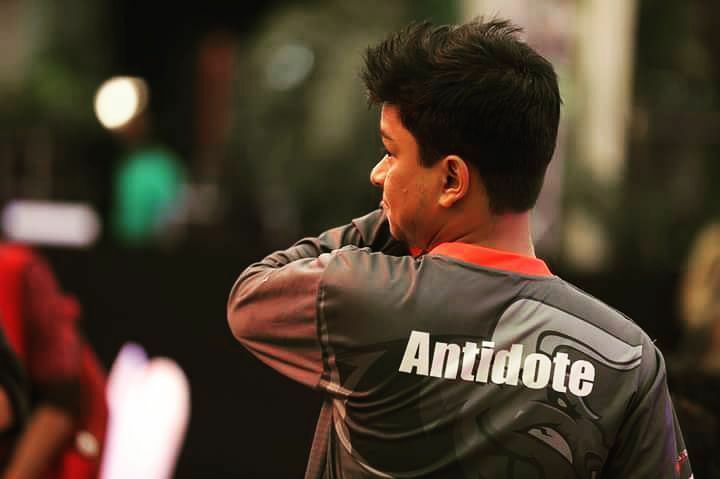 Antidote has previously played for Dare2Dream, MxB and Kolkata’s JMD Gaming. Sabyasachi mentioned they have the best bootcamp setup one could imagine! Antidote expressed his views on what makes India a still-developing esports nation even though we’ve enough talent. Read the interview to know more about the routines of these professionals and their effort-full lifestyle. Congratulations on winning three consecutive titles – ILG Banglore Minor, NGS Monsoon Madness and Playtonia Rigid Roulette Season 2. What are your expectations from ZOWIE eXTREMESLAND 2018 Indian Qualifiers? Thank you for your wishes and yes it has been a very good start for the team since we are on winning streak right now – knock on wood. Hopefully, Zowie eXTREMESLAND 2018 will be part of that winning streak. We are super hyped and ready for it. So far, how has been your journey in the OpTic India bootcamp? Do you ever feel homesick and returning back to Kolkata? The bootcamp is insane, we probably have the best hardware ever to a team in India by an organization with 240hz monitors, i7’s and 1Giga internet, we are pretty much sorted. I am enjoying every second out here but that being said I miss my friends, girlfriend, and family. Not completely homesick but I do miss them. You are basically an AWPer for the OpTic India squad but you’re good enough with the rifle and basically a hybrid. What’s your daily schedule and how did you master both the weapons? To be honest I practice AWP and Pistol by deathmatching regularly and rifle skills come naturally to me at this point. My main focus is on crosshair placement and improving muscle memory as much as I can. What isolates Indian teams from their counterparts in the SEA or even Asia as a whole? Does the frequent roster shuffles in Indian scene affect the growth and progress? I would say Indian CS lacks understanding of certain fundamental concepts related to proper communication, early-mid-late game decision making and the importance of numbers game. Even though individual aim skill might be high of many players in the country, but their holistic approach to the game is severely lacking. We as a team are working on filling those gaps. YB is very helpful and bearing. He is seeing good results against some top Asian teams in scrims. Roster shuffles are evident everywhere when a team is at an impasse result/skill wise, however in our scene decisions are made in haste, and mostly for trivial reasons which halt any long-term progress in the scene. Who is your best friend in the Indian scene and apart from Counter-Strike: Global Offensive, what are your favorite games to pass the time? I don’t have any best friend specifically, I am close to everyone in the Indian scene and I am a chill guy to hang out with. Apart from CSGO, I like to play PUBG. In your notion, who is the best rifle, sniper and pistol player in the nation? In my honest opinion, Forsaken and Marzil are the best rifle players right now, complete in every sense when it comes to accomplishing a certain role. And I did say I am the best Sniper and Pistol player right now, wouldn’t be in OpTic otherwise. #modesty. How did you feel the first time you played on the big stage? How did you overcome the anxiety and calm your nerves? It was a good feeling playing on stage in front of a crowd. I was initially very nervous but I realized that I play the best when I am under pressure. I performed well and was quite happy. ZOWIE eXTREMESLAND 2018 is one of the prestigious tournament in India; are you preparing for the event with a different mind and skillset? Oh yes, we are practicing rigorously for ZOWIE eXTREMESLAND 2018. Everyone on the team is enthusiastic and ready to win this tournament. Who do you think will be your most tough contender in ZOWIE eXTREMESLAND 2018? And Why? All the teams due to shuffles are comparatively new except Brutality and 2EZ Gaming. Furthermore, I don’t really know who would be a tough contender at this moment. We have to play our ‘A’ game against every opponent we face. What advice would you give to upcoming players who wish to excel and enter the stacked scene? Also, any shootouts or would you like to address the community in general? I did say keep working hard every day and try to the learn the game every day. Perhaps, watching pro demos as well as your own demo to fix your mistakes. Self-evaluation and improvement is an absolute must to see progress. Participate in tournaments, get some exposure and most importantly enjoy the game. Shoutout to OpTic for believing in us. Thank you Antidote for generous responses. A debt of gratitude is on order for your time and candid responses!